Step 1. Select your item from over 300 shapes. We have a broad selection of “functional ware” including plates, platters, bowls, mugs, flower pots, trivets, pet dishes, vases and MORE! There is also a wide variety of banks, trinket boxes, animal figurines, fairies, dinosaurs, etc. Step 2. Browse through creative idea books, stencils, stamps and other tools to help you create your design. Our Staff Artists are always available to help bring out the artist in you! Step 3. Choose from over 70 paint colors. We’ll make sure you have as many as you need. Step 4. Unleash your inner-artist and paint your pottery! Think of your pottery or “bisque” as your canvas. Step 5. 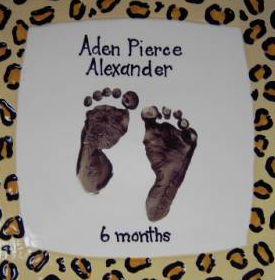 Leave your artwork with us and we will professionally glaze and fire it for you. Step 6. In about a week, your finished artwork will be ready to take home or give as a gift! Pricing: Each pottery piece is individually priced. Prices start as low as $8.00 (plus tax). Price includes paints, brushes, tools, glazing and firing of your new masterpiece! 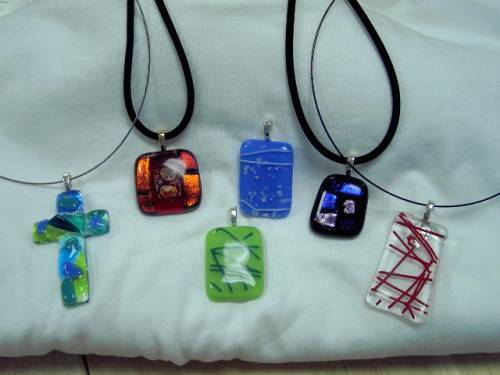 GLASS FUSION IS COMING SOON TO ART'S AFIRE! 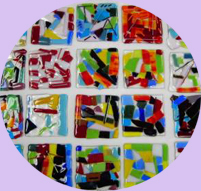 Glass fusing is simply the process of stacking two or more layers of compatible glass together to make a design or haphazardly. 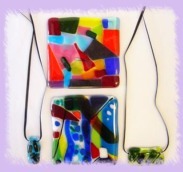 The stacked glass is placed in the super heated environment of a kiln where it melts together to form beautiful hand-made glass art.